A New Year Brings New Engagements. While I was home last night, eating and drinking and being merry with a couple of friends, and you were doing whatever it was that you were doing, four more people got engaged. Lately it seems like every time I turn around, people are getting married and having babies. Not necessarily in that order, however. Actually, now I think about it, of all my friends who have had or are having babies, only one of them was married first. 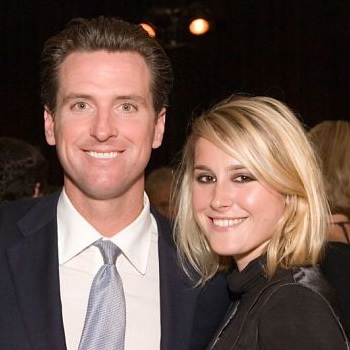 First up is a couple from my neck of the woods – San Francisco Mayor Gavin Newsom and actress Jennifer Siebel. Yeah, I don’t know who she is either. I guess she’s had some bit parts in movies and guest roles on some TV shows. And then there’s Roselyn Sanchez from TV’s Without a Trace, and Eric Winter, who played Rex Brady on Days of Our Lives. I guess the nice thing about celebrity couples is that there is such a high turnaround, one will never want for gossip. There will always be someone getting married, getting knocked up, or getting divorced. I wish these newly engaged couples well and hope they’re marriages are able to last. Although if the relationships do fall apart, I’ll have something to talk about, and that’s always good. previous post: Happy New Year! It’s 2008! next post: Britney Spears. Hospitalized And Psycho.